This week I've been busy converting to DCC a RENFE 269 - N gauge loco, that I bought last Sunday at Madrid Railway Museum flea market . The first thing to do is to conduct a general maintenance. If loco works erratically at DC, it will be worse at DCC. Then, we need to clean the energy collection system from the track, check that engine works fine, clean the gears, and replace the traction tyres. Regarding lighting, we will upgrade it and make more realistic. Original loco only has got main headlamp, and we also want to make functional position lights. To that end, I bought several micro-leds with wires from Modelismo del Tren at Zaragoza. 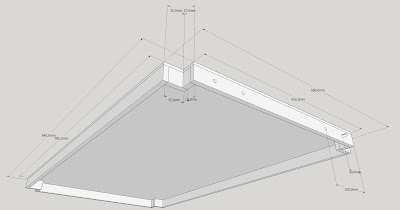 For our model we need to make holes for position lamps, because they are originally blind. I use a micro hand drill purchased from Amazon. Are external position lamps white? Are red? Here we can see an original example. Inside of loco, we can see that all the space is occupied by an structure that works as frame, counterweight, and holds all components. We will remove the printed circuit that holds old bulb lighting and a couple of coils for the engine. As this board also fixes engine in its place, we need to trim it, allowing it to continue playing this role. The next step is look for enough room for the decoder. As we can see, we need to remove a part of metalic frame, and a plastic pivot that stand out from bogie. In the original design this pivot is butted against the printed circuit board to keep in place the current draw. If we see that the shaft doesn't fit strong in its stand, after filing it, we would need to fix it with a drop of glue. When we work with this frame, we need to be carefully with the visible details. It would be very difficult to redo the numbering. I've started filing the front, to leave place for the new leds. And then filed a great piece of frame to accommodate the controller. As you can see at the next picture, I've painted the filed surfaces so they don't look bad when we open the loco. It's time for electronics. 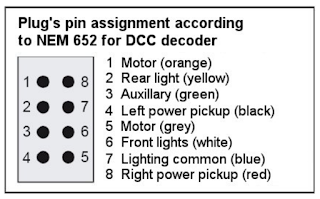 I've selected a 76425 decoder from Uhlenbrock. Here is its documentation. We need to remove the connector, because we have nowhere to use it. I also will remove the green cable, unsoldering it, because I don't use Auxiliary function and there is no more room. Lets go to connect cables to the power source. First we need to decide what is the natural direction of travel, and then connect the black cable to left and red to right. As the space is like gold in this model, I try to keep cables as short as possible. For engine, we need to connect orange and grey. And then we can fix engine in its place with the board that we have cut. To avoid accidental shortcuts, I've protected the decoder with thermo-retractile insulation. As we can see, there are now 3 free cables for lighting. Blue - common, white for forward operation and yellow for rear operation. We are using leds, then we need to know that current flows from blue common (positive) to white and yellow (negative). We need to polarize leds connecting anode to blue and cathode to its correspondent white or yellow. .
To limit the current, I use two small 1k2 -1/8W resistors. 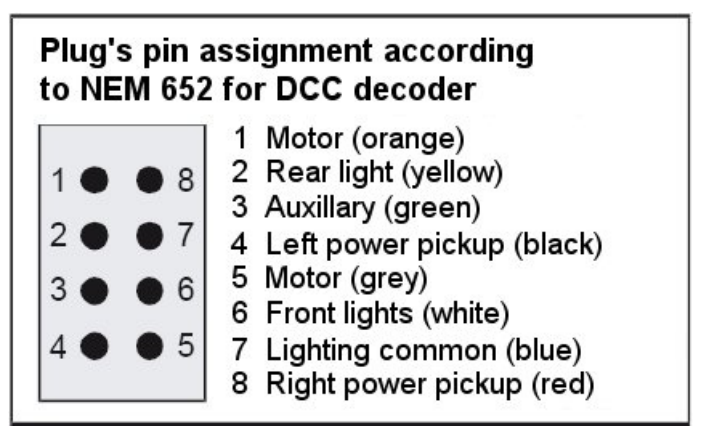 We also need to keep in mind that using leds we can't connect it in parallel, because there are subtle differences in its polarization parameters and some of them can drain all current and leave others without lighting. Then we need to cable it serial. You can see at the next image the "cable spaghetti" created by 10 leds in such small model. And finally the work completed, with leds connected to the decoder. This weekend (3/12/17) there have been the model railways flea market that is organized each first Sunday of month. A warehouse building with loading bay from Kleiwe. 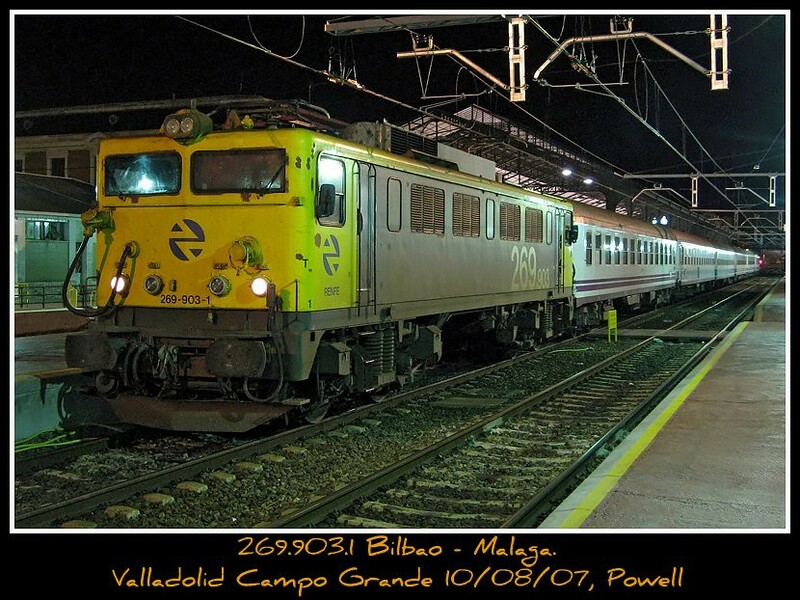 An electric locomotive RENFE 269. An electric locomotive RENFE 276 (7600). These two pre-loved locomotives are not digital, then I also bought two decoders. There are different decoders from Uhlenbrock (I want to try it). And there are not for N gauge, because there are equipped with NEM 652 for H0 gauge, but I've thought that the dimensions are correct. Today I shall put forward some details about the building of a concrete stop buffer with the 3d printer. These are the stop buffers as I remember at old Atocha Railway Station. We start working at computer. 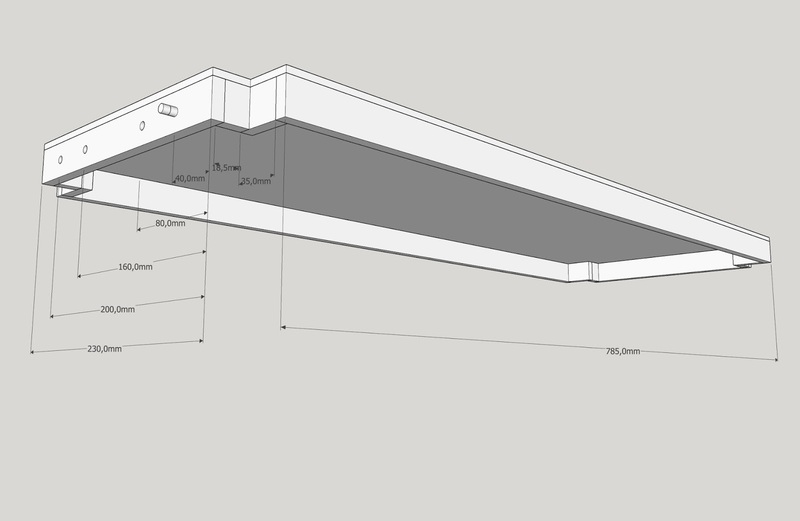 As I've said before, I use SketchUp to draw 3D models. 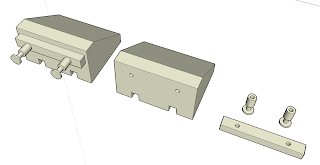 The stop buffers are a really simple design. I've designed them simple, but we can complicate it with an accurate form of buffers. If you work with bigger gauge, it will pay off. Here are the links to download files. All measurements are correct for N gauge. Use it at H0 is as simple as scale it to 160/87=1,83. Now it's time to let printer to work. To aid in assembly, I've let several holes to centre the pieces with a small wire. Probably they need to go over with a micro hand drill. All we need to do now is colour it. I was a little slacker, and I've painted black sleeper in conjunction with buffers, but could have done it separately painting sleeper with wood color. When I was seven, I received my first miniature train. 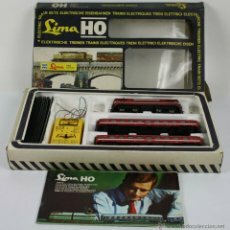 A Lima H0 gauge kit what my parents gave to me for Christmas. Tracks laid over my mother's home hall. When I was 10 I had my first model over a fixed board about 3 sq meters with two concentric ovals that covered whole room. I remember pain in my arms because a whole afternoon sat on the floor cabling under board. The next milestone that I remember is a 2N3232 transistor with some resistors connected to the printer port of my Amstrad CPC to control the gauge. Of course, the printer port ceased to function in a few days. The whole rectangular board was splitted in several pieces, to make the model fit to the walls and left a central space for the spectators. I think that the last time when the model run was when I was 16. Since then, as I saw something similar, or read about it, I thought: "I know how to do it...."
Sometimes i put my hands to work and done some dioramas like the above. Finally, a couple of months ago a work mate told me he was going to gift a starter kit to his brother... and again i thought "I know how to do it"... but this time, the trigger was stronger and i started to think how to do it. First thoughts were to use a full room for it again, with HO gauge. But i quickly had to discard this option. What about N gauge, which is almost half the size?... even so, i had not a free square meter at home. But once an idea pops into your mind, you cannot get it out. And i found that an Ikea modular shelf is good enough if you make room in one of their layers, and you get almost one and half square meter. 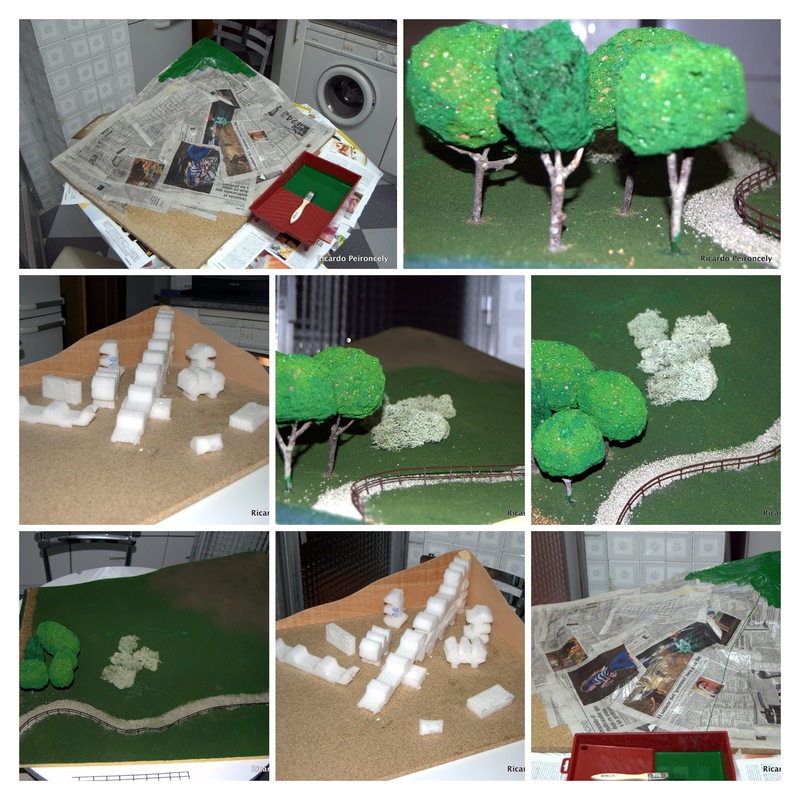 Once the placement was chosen, i continued thinking about how to build up the layout. 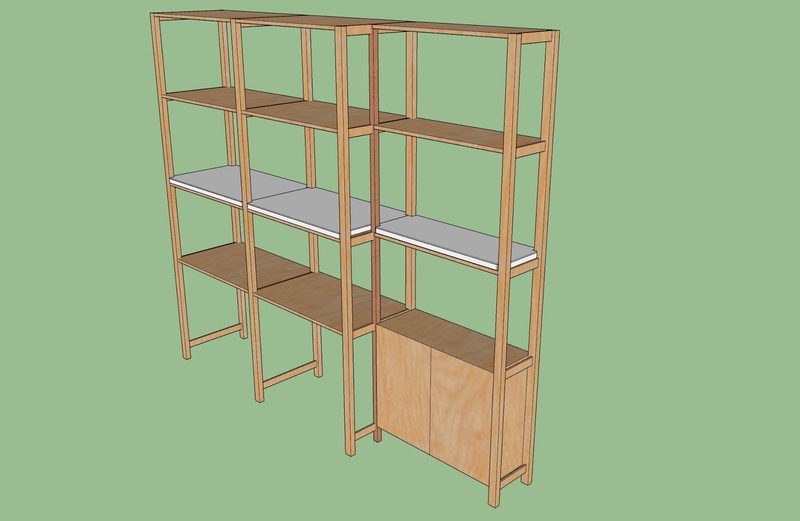 The shelf is made of fir wood, 16mm thick. You cannot work that material. Plus, the shelf would never be leveled as rooms floor are never perfect. 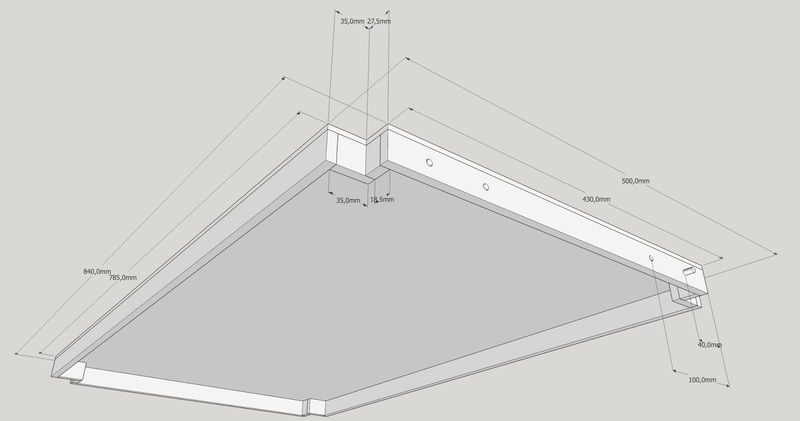 The solution i worked is to make some panels to lay over the shelf. Then those panels assembled will make a hard solid base with a soft wood to work in. We need to make a bit of engineering to design the panels. I talked to some pals involved in 3D and CAD world and finally i chose sketchUp software to make my models. Why? cause the learning curve is not "so" exponential. Design's principal is to be removable. The joints among pieces are done with a couple of dowel pins and two screws. Anyway on a first glance i have thought to install railwais without joints. If required, a bit of work with the Dremel will be enough. 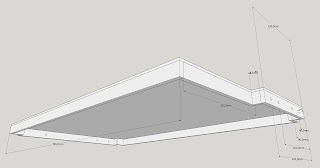 Another issue to consider is to avoid the columns of the shelf, so i did the cuts, wide enough to be able to lift the layout over one of its sides and work underneath. Items: fir sticks about 9x25mm and a plywood piece 9mm thick.